The building is located on Russell Street. 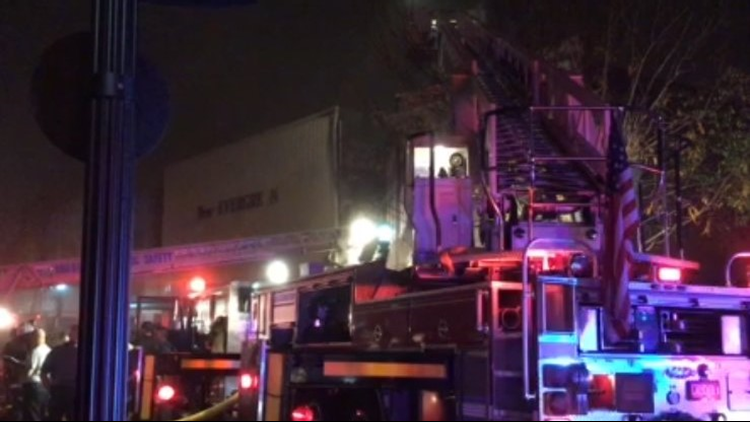 Orangeburg, SC (WLTX) - Firefighters battled a blaze at a building in downtown Orangeburg Friday night. The fire, which occurred at a vacant building on Russell Street, occurred around 8 p.m. It was under control by around 1 a.m. after 35 firefighters responded to the scene. One firefighter was injured when he was struck by a bea, according to Lt. Anthony Robinson with the Orangeburg Department of Public Safety. However, his helmet was on at the time and he is reportedly in OK condition.